This is a case study of a routine and typical development application and subsequent appeal under Queensland's planning laws. The principal purpose of this case study is for teaching the basic planning process to students studying ENVM3103 and ENVM7123 at the School of Geography, Planning & Environmental Management in The University of Queensland. 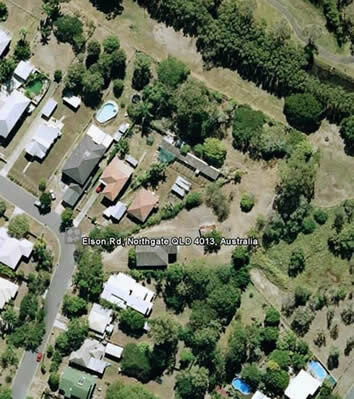 This case study involves a development application lodged for a material change of use to convert land with two detached houses into 10 units in the suburb of Northgate, Brisbane. The development application was approved by Brisbane City Council but appealed by neighbours to the Planning & Environment Court. After mediation, the appeal was resolved by consent and without a trial through the developer agreeing to increase the number of onsite carparking spaces from 15 to 18 to reduce onstreet parking. The development application documents and relevant planning documents can all be obtained from the Brisbane City Council PD Online website. GoogleEarth image showing boundaries of land and surrounding neighbourhood. Notice of Appeal lodged by neighbours (Note: this document is poorly done and it is not an example to be followed). Consent judgment and conditions of approval. Layout plan agreed by consent including extra carparking spaces. Co-respondent's submissions for minor change to layout plan detailing history of development and the appeal. GoogleEarth image of land involved in appeal. Building designer's impression of proposed development from street (by Dow Royle Master Building Designers). Thanks to Peter Tornabene for allowing the facts and documents of this development to be used as a case study here. Thanks to MRD Studio (previously trading as Dow Royle Master Building Designers) for permission to republish the layout plans and drawings done by them.